Earn 2160 loyalty points when you order this item. Use the Linn Uphorik phono stage to fine-tune your turntable system with the Linn Uphorik phono stage and get the most from your vinyl collection. 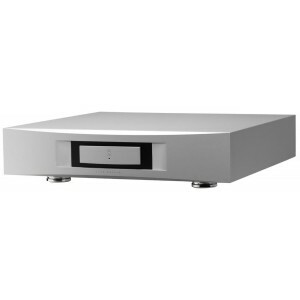 This is a precision moving-coil and moving magnet phono stage, featuring gain and load adjustment for any cartridge. This makes Uphorik the most flexible phono stage available, and means it can adapt to your system should you upgrade your cartridge in the future. Uphorik is developed from our reference internal phono stage, Urika, sharing its dual mono topology and fully screened differential input. Uphorik's flexibility also extends to connections, with a choice of balanced or unbalanced outputs, and RCA or XLR inputs, which guarantees Uphorik will always meet your requirements, no matter how the rest of your system evolves. So... why the Linn Uphorik?